Injection molding is a process used in manufacturing parts or mechanical components in a process that involves material injection into a mold.It’s a versatile process that has made production of low cost and high cost plastic parts easy. There have been advancements in the world of injection molding and that’s what we are going to look at in this article.So what are some of the new technologies in the world of injection molding? Most commonly used gas in this injection molding process is nitrogen. In this process, the plastic is injected into a mold through the assistance of pressure from gas. Different parts of the mold get filled as pressure from the gas pushes plastic content. Pressure can be injected into the cavity of the mold or through a nozzle to push melted plastic into where it’s supposed to be. Pressure can be exerted from different points. Pressure assisted molding is a technique that has helped plastic industry to advance because of its effectiveness. This is a method that is very important especially when the manufacturer wants to achieve high structural rigidity and resistance in the final product. 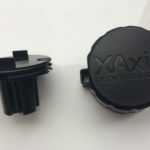 The other advantage of using this method in injection molding is the fact that it leads to superior chemical resistance and thermal isolation. It’s a process mostly used in manufacture of light vehicle panels. 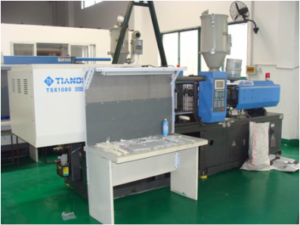 This injection molding method is helpful in production of thin-walled final products. However, it has a disadvantage because it’s difficult to tell exactly is the right measurement in order for the final mold to be considered thin-walled. The general rule mostly used for parts to be considered thin-walled is when they have less than 0.5mm width. This injection molding china process started as a result for high demand of thin walled parts and a connection to high precision when using them. This process involves use of more than one material with varying colors in the same mold. What results is a mold with different texture, shape and color. This method is advantageous because it leads to parts that have superior chemical, thermal and mechanical resistance. These are the main technological advancements that have been witnessed in the world of injection molding. The future definitely looks bright as more ideas and thoughts are injected into injection molding with time.